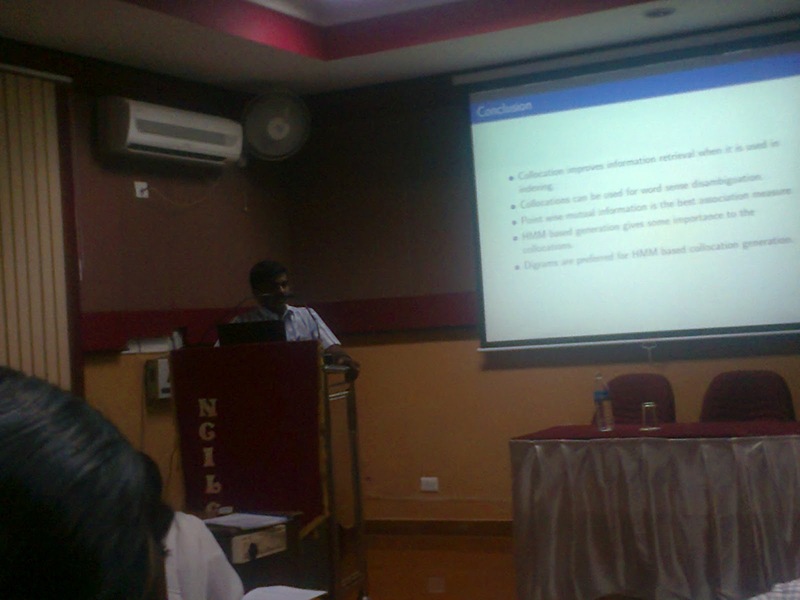 Christopher Augustine and Manu Madhavan of Team M.Tech presented their papers at NCILC2012, conducted by CUSAT on Feb 19 and 20. Chrstopher presented his paper " HMM basedCollocation Generation" and Manu presented his paper " Application of Karaka relations in Natural Language Generation". 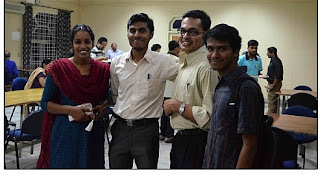 They made connection with many researchers from various part of India and received appreciation for their presentation. Prof. Kannan of CUSAT, mentioned about the course M.Tech CL at GECSKP, during his speech. Manu Madhavan, Mujeeb Rehman, Rechitha and Robert Jesuraj of M.Tech Computational Linguistics attended 4th IASNLP workshop at IIIT-H from 5th to 14th July 2012. This gave a good chance to meet a lot of researchers, academicians and industrialists in NLP, and introduce the course to them. " The classes and the project environment were very inspiring and all those days were intellectually enjoyable ", they expressed.